Before Arlington Arts Center was established as a grassroots arts organization, our building served as a local elementary school, and is now listed in the National Register of Historic Places. 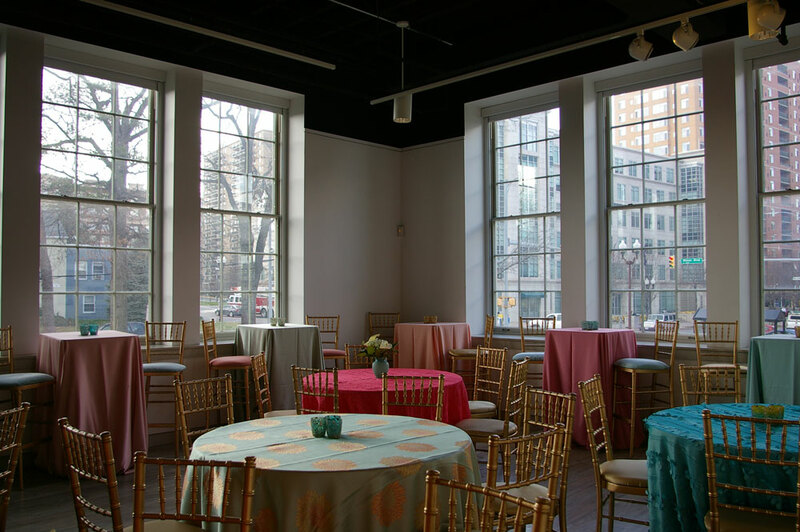 Because of its illustrious reputation and buzzing location, Arlington Arts Center is a perfect venue for special events. 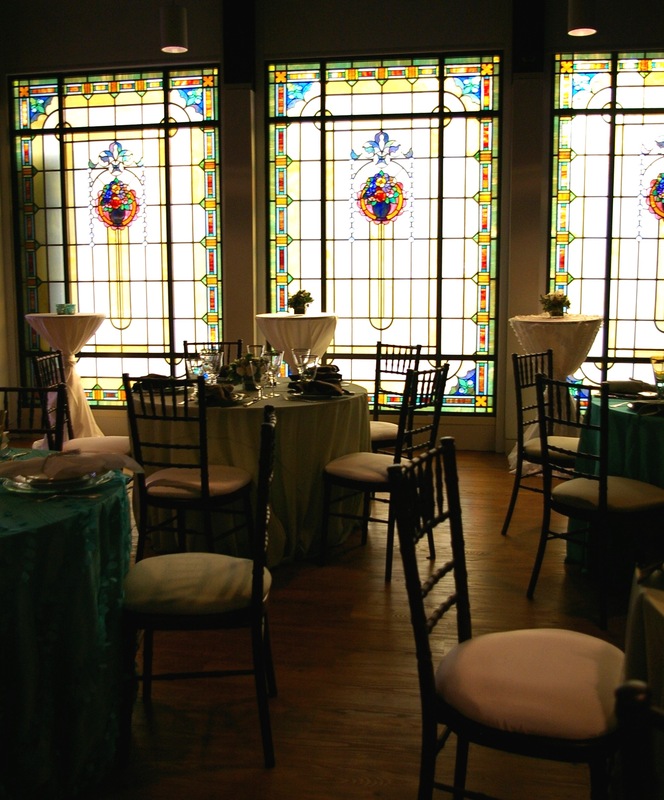 Adorning our main event space, the Tiffany Gallery, are Louis Comfort Tiffany Studio windows. 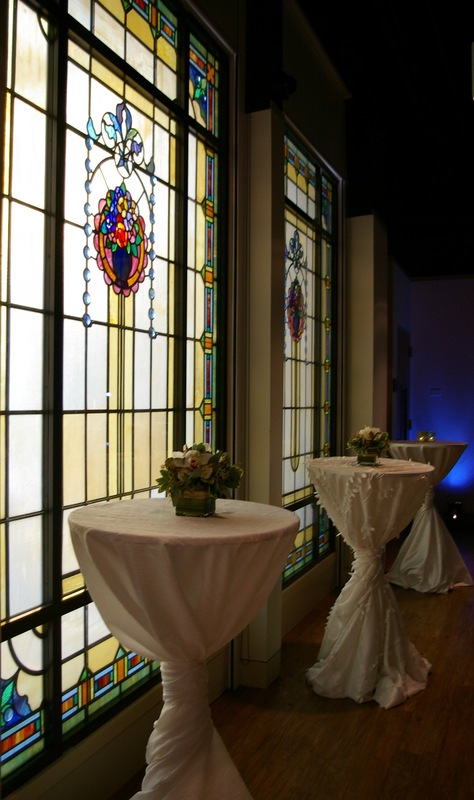 These beautiful stained-glass panels, part of Arlington County’s Public Art Collection, make a great backdrop for any event. The Meyer and Smith Galleries emanate a creative current, encouraging mingling and discussion among guests. 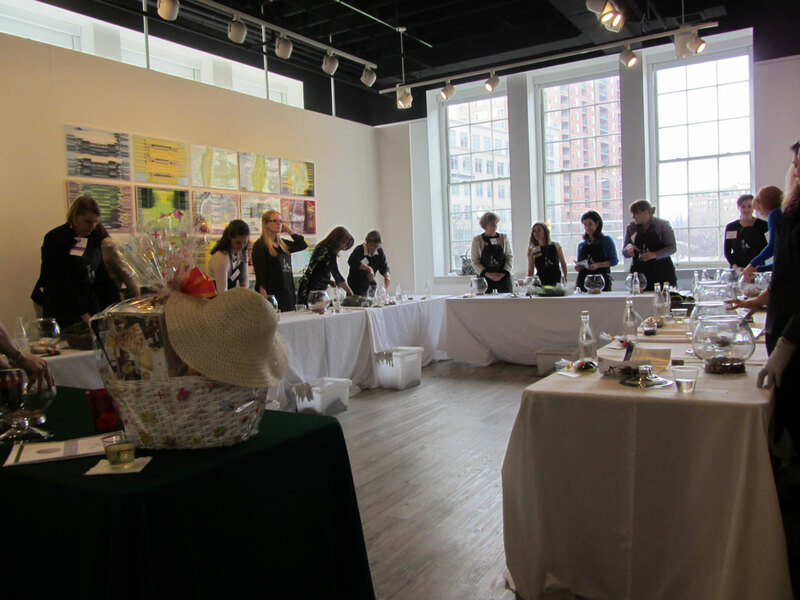 AAC makes a unique backdrop for a variety of events, from rehearsal dinners, to retirement gatherings, fundraisers, and birthday parties for children. Included with your rental is use of our catering kitchen with refrigerator, microwave, and sink. We have chairs and tables for your use, as well as two large scale projection screens and wireless network. As caretakers of numerous artworks as well as a historic landmark, we do not permit red wine or red liquids at any event. With the exception of the children’s art parties mentioned above, we do not rent the facility for youth events. Finally, we carefully select every curator and artist to help us meet our mission of supporting contemporary arts in the Mid Atlantic Region. We do not permit rentals for one-night exhibitions or other arts events or classes unrelated to AAC programs.